This movie is insane, but I'm on board. I'm on board, but this movie is insane. You know what I mean? then takes the amnesiac to live with her at her father's house, and marries him as his health continues to improve. When he has another accident and reverts to his first self, losing his second set of memories that contains their life together, she follows him to Calcutta and figures out a way to stay present in his life and reconcile these two phases of his identity. the film is still much more about her than it is about him. For me, that alone is plenty of reason to watch a movie even if I think much of the rest of the lead character (and I do mean singular)'s decisions are terrible and immoral. She is capable, competent, and (perhaps dangerously) confident in her abilities and her correctness. Not only does she know she's doing the right thing for her patient (and no one questions her on this point after she leaves this hospital early in the film, though she doesn't encounter anyone qualified to do so), she knows she's doing the right thing for herself, both professionally and emotionally. Her sense of self being so tied to her professional abilities seems amazingly modern—outside of Main Madhuri Dixit Banna Chahti Hoon, Naach, Abhinetri, and certain Madhur Bhandarkar films, I can't think of many stories that really emphasize a woman's career—even when they are muddled in with the romance. What's most amazing is that all of this happens outside any structure of external validation. She leaves the hospital early in the film, so no supervising doctor is watching the progress of the case, and she never mentions wanting to write up the findings of her course of treatment. She wants to cure Alok because she loves him but also to prove to herself that she can. There is both confidence and a desire to learn. It feels significant that she does not just let him go once she realizes his initial self is present again. She wants —needs?—to know that it is her influence and capabilities that have healed him, not just a random blow from a passing motorist. His love is important, but her own assessment of her work is equally so. It may be creepy to me that she marries a former patient (and in fact a current one by her own definition), but that dual role is absolutely critical to what the film is trying to do. She is serving him but very thoroughly on her own terms (and even in contradiction to what other people want). It is significant that in Harano Sur she flagrantly disobeys not only a male authority figure (the senior doctor at the hospital who is originally in charge of Alok's treatment) but later female ones as well (Alok's fiancee and mother). Maa: "It's time to throw you out of this house. A loose character." Roma: "Mother, I'm not the one with a loose character. I'm as pure as you." Can't wait to see how Maa responds when she finds out in fact her son is already married to a woman who talks to her like this. In this defiance and self-confidence, she is completely supported by her father (Pahari Sanyal), whose role in the film is almost that of a mirror rather than a guide or sounding-board. 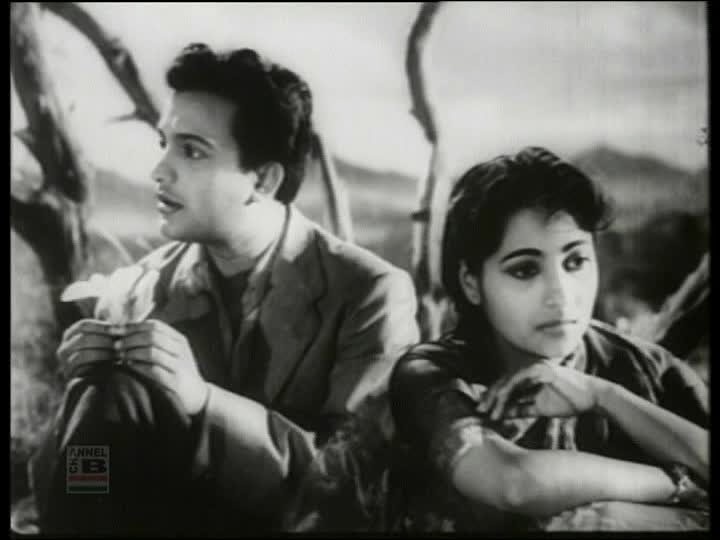 Somehow director Ajoy Kar (whose output in the year 1963 is seen on this blog: Saptapadi, Saat Pake Bandha, and the little gem Barnali) (and yes, I like the Soumitro ones better than the Uttam ones, though I haven't seen Kar's Parineeta with Soumitro as Shankar yet) is very successful with tricks that could very easily have become too melodramatic. ** There is plenty of foreshadowing in very literal terms (at least in the subtitles). I think this language works here because of the immediate establishment of Alok as someone who does wander off and for a legitimate reason. This is not just the language of immature, insecure, self-pitying fretting. This is what a responsible caretaker worries about. When Alok has his original memories and identity back, there is a scene of him inviting Roma to dine with him. 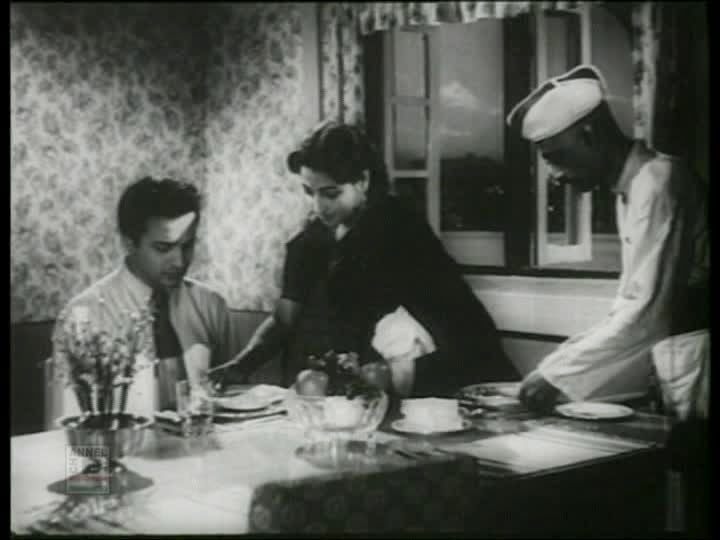 Through this phase of the film she has worked hard to hide her actual identity, both as his doctor and as his wife, but at the commonplace interaction of dining she is unable to stop herself from fulfilling wifely duties of serving his food. Below you can see her serving him while the staff of Alok's fancy home serves her. Alok's niece asks Roma to tell her a story. 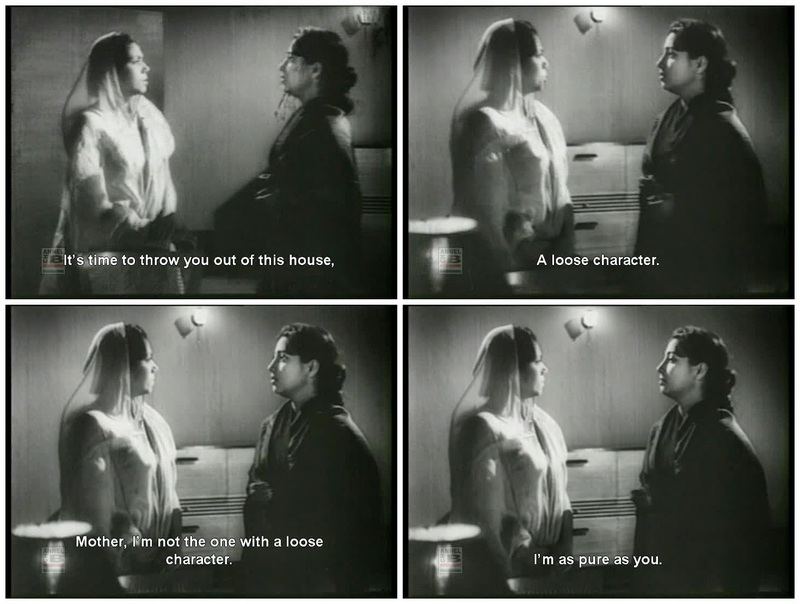 Roma gives her the short version of Siddhartha, but it's clearly an analogy for Alok too. I was surprised by the comparison—I don't think I've seen a film compare a hero to Buddha before—but it works well, suggesting interesting ideas about what one can celebrate in detachment, even if that detachment is amnesia from traumatic accidents. In the film, the prince does not set out to leave his palace and riches deliberately, but he finds truer love and happiness once he does. Harano Sur also has the mother of all knitting scenes: after their marriage, Roma knits contentedly while Alok labors over job applications. When she walks over to him, he picks up her knitting and is delighted to find out she's making a sweater for him. This scene is right before his second incident of amnesia, so the sweater clearly stands for the life they were building together that is then disrupted. Ever dogged, she brings it with her to Calcutta and keeps working on it in Alok's house; when he doesn't entirely recognize it, she quietly unravels it with both resignation and hope, as seen in the exchange with his niece below. 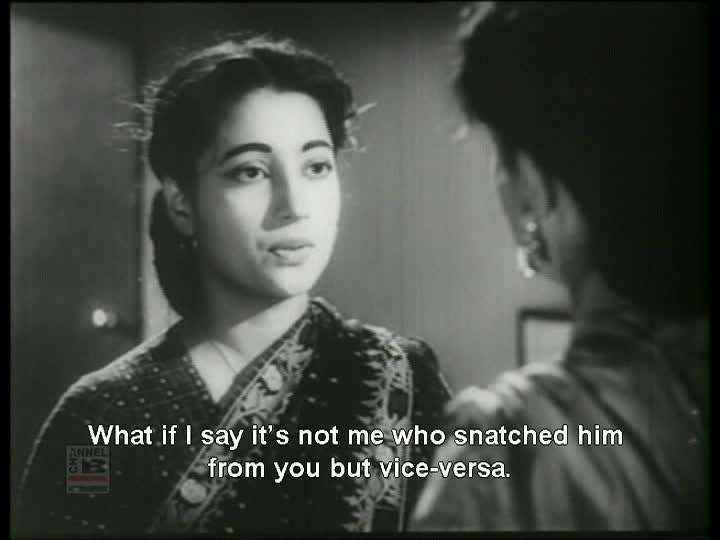 Suchitra Sen is not my favorite Bengali actress by a long shot but she commands this film so well—as she should, given the script. 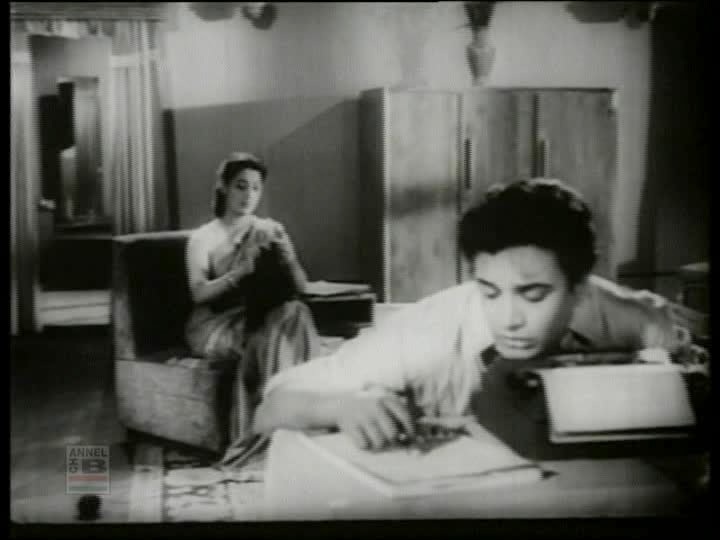 As usual, her pairing with Uttam works best as they contrast one another in between the passages of sweet togetherness. As Roma becomes more and more desperate to cure Alok, restore their relationship, and maintain her self-respect, Uttam keeps a tight lid on any temptation to be crazy and puts his characters' confusion onto his face in ways that makes sense in their two different contexts. Initially Alok shows fear and gratitude, but later he is smug before his curiosity takes over and he realizes Roma's strangeness has something to do with the time in his life he cannot remember. Put all this together with beautiful trees and flowers, nighttime storms, and the big stars fully into their comfort zone as mutual, collaborative big stars, and it results in an engaging film with many passages of loveliness and many interesting ideas about love, responsibility, ethics, and caring for other people. It might be my favorite Uttam-Suchitra yet. * I asked twitter for movies in which the woman is the stalker in "stalking=love" and got the following answers in addition to Aiyyaa: Chaahat, Pyar Tune Kya Kiya, Darling, Gupt, Pyaar Ki Jeet, Khalnayika, Ohm Shanthi Oshaana, Shraddha, Julie Ganapathi. ** But this film is plenty melodramatic. 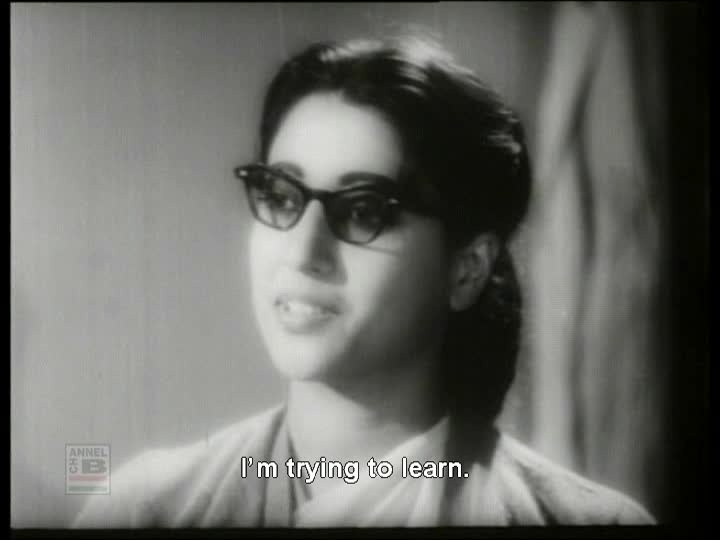 Never let anyone feed you that line about how Bengali films are less melodramatic than Hindi films. That is bunk. Tell them to watch Saptapadi with their thinking caps on and get back to you. 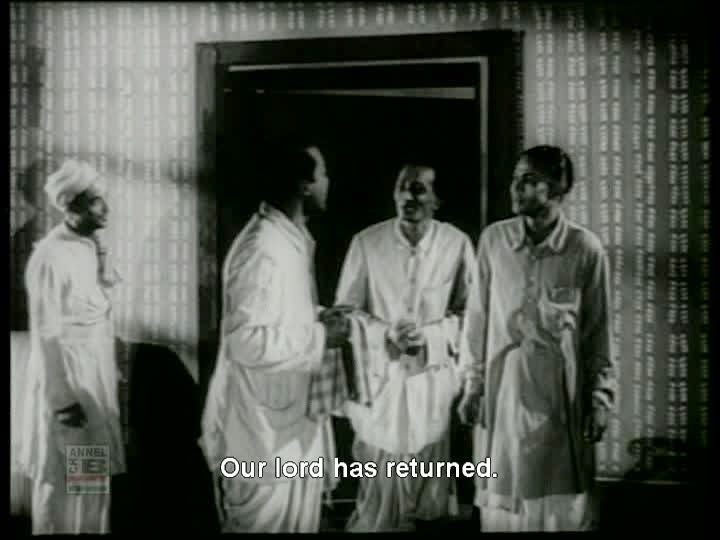 Incidentally, this film - which, being a Bengali and a cinephile - is a favorite of mine is a lift from 'Random Harvest' (1942). thank you for the post. 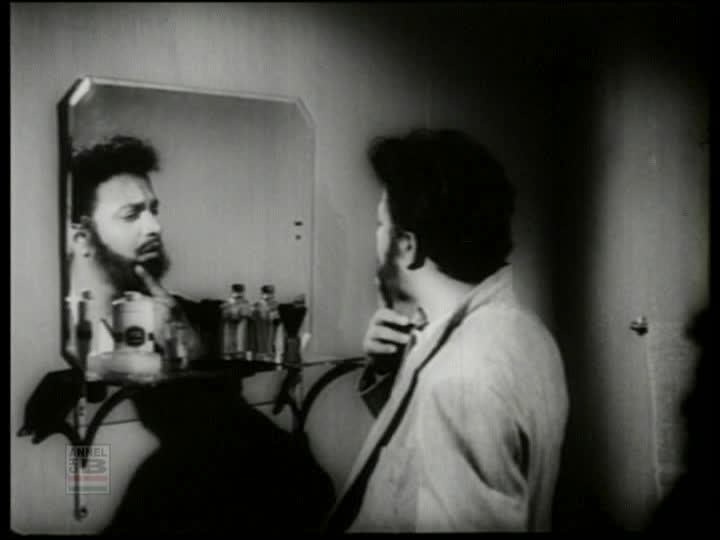 if you wish, you could perhaps read moinak Biswas's chapter on this film called " Harano Sur as melodrama now" in Ravi vasudevan ed Making Meanings in Indian Cinema (OUP). Also pls watch surjyotoran, chawa pawa and Indrani and share your thoughts about them. 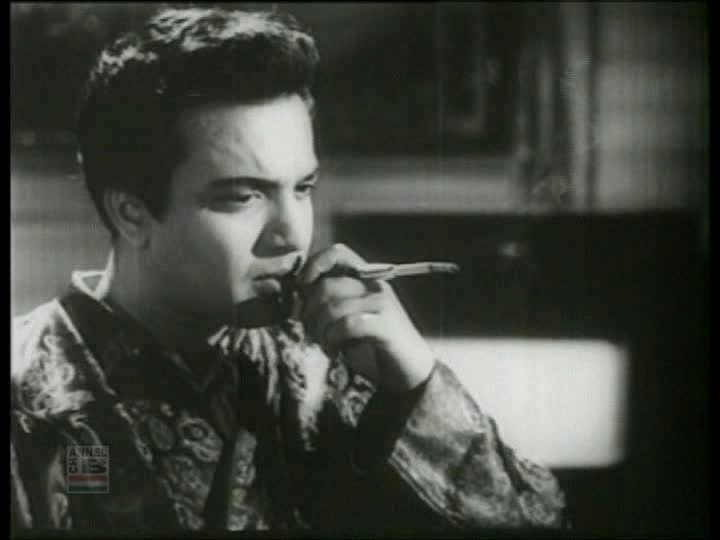 love your posts on Bengali cinema. 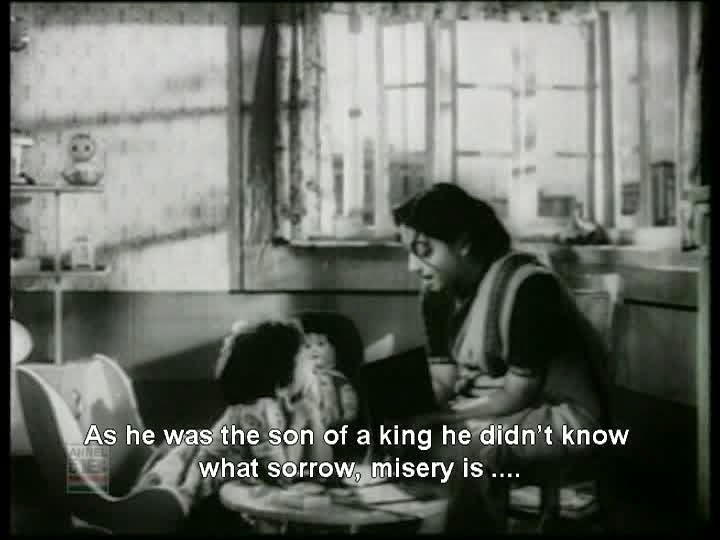 sorry but i thought uttam kumar's character in this film is called Aloke throughout. where did you get Ashok from? Life's Elsewhere - I read that but haven't read the book or seen the English-lanugage film. Have you? If so, how do they compare? 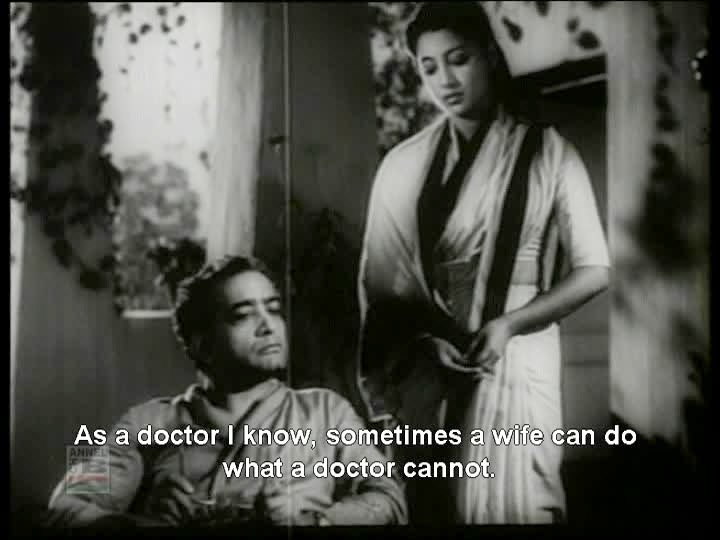 Based on what I read, making the female lead a doctor is a switch in the Bengali version, which is interesting. Sukanya - Oh good catch on the character name (I was reading about various films at the time and that probably scrambled me up). I've changed it. I would love to read the Biswas chapter and need to find a copy of that book (I may actually have it - my stack of stuff to read is so big). I've seen Indrani but it didn't make much of an impression , and I'll add those other two to my list. :) Thanks! I like your blog a lot... it's easily one of the most diverse blogs on cinema... glad I discovered it through IndiBlogger. I would be delighted to feature a guest post or two of yours on my blog. The "stalking-love" spin to Roma's character is interesting. It is definitely a valid observation though it isn't one of those violent types like Glenn Close in Fatal Attraction. Incidentally, a woman trying to get back her husband who has forgotten about her is a fairly old concept in Indian literature and one can go back to the tale of Shakuntala and look at the similarities. I made myself avoid this review (*spoilers*) until I got my hands on a copy of HS. Now that I've seen it, I can't but be grateful that this post exists ... b/c what well-structured nonsense! ... Or perhaps it's the other way around. I love how you described and resolved the sort of cognitive dissonance you felt with Suchitra's character ... on the one hand, it's all BEYOND inappropriate, but if you try to look at it all metaphorically, and in contextual perspective, it's rather impressive. I'm glad you mentioned the Siddhartha tale's presence in the film--I was really surprised to run across it. It's interesting that the two lovers seem to represent opposite poles of moral ideals: Alok for the purity of detachment, Roma for the pains of attachment. The romantic ups and downs do resemble Saptapadi and Indrani and Sabar Oparey, etc., but I'd venture to say that Roma is a more fleshed out character than Rita and Co., even if she is just as much a symbol as the rest.